In anticipation of his upcoming conference presentation, Using Predictive Analytics to Optimize Organizational KPI’s: A Panel Market Research Case Study at Predictive Analytics World Chicago, June 20-23, 2016, we asked Thomas Schleicher, Sr. Director, Measurement Science at National Consumer Panel, a few questions about his work in predictive analytics. Q: In your work with predictive analytics, what behavior or outcome do your models predict? A: Our models predict a number of behaviors and outcomes, including attrition, compliance and the number of recruits needed to replenish households lost through churn. We also used predictive analytics in combination with test-control comparisons to further optimize business decisions. Q: How does predictive analytics deliver value at your organization – what is one specific way in which it actively drives decisions or operations? A: At NCP, the ideal set of households participating on our market research panel would be fully representative of the nation’s households while also fully participating in the panel by scanning and submitting all of their purchases. Using predictive analytics can help to ensure that the most optimal set of households is selected and maintained with respect to these and other metrics. Q: Can you describe a quantitative result, such as the predictive lift of your model or the ROI of an analytics initiative? Do you see a role for integrating more “qualitative” impacts into a quantitative model? A: We regularly evaluate ROI when we test new ways of engaging with our panelists in efforts to encourage them to remain as contributing panelists for years. However, we also take into consideration the value improved participation has to our clients. Although we are making progress on putting numbers on this sometimes qualitative impact, it is possible to undervalue an initiative by only referencing items that are easily quantifiable. Q: What surprising discovery or insight have you unearthed in your data? A: Although it can be challenging (or even impossible in some situations) to achieve “perfect” scores on your organization’s KPI’s, predictive analytics can leverage your data and business acumen to drive optimal business decisions. 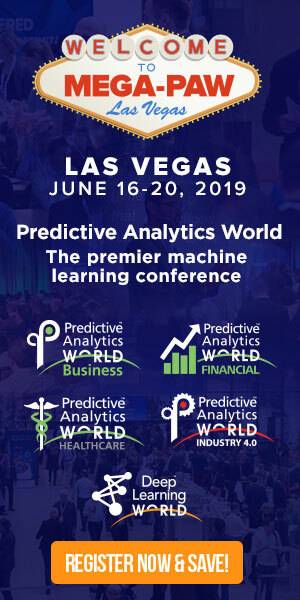 Don’t miss Thomas’ conference presentation, Using Predictive Analytics to Optimize Organizational KPI’s: A Panel Market Research Case Study on Tuesday, June 21, 2016 from 11:20 to 11:40 am at Predictive Analytics World Chicago. Click here to register to attend. USE CODE PATIMES16 for 15% off current prices (excludes workshops). Eric Siegel is the founder of Predictive Analytics World (www.pawcon.com) — the leading cross-vendor conference series consisting of 10 annual events in New York, Chicago, San Francisco, Washington DC, London, and Berlin — and the author of the award-winning book, Predictive Analytics: The Power to Predict Who Will Click, Buy, Lie, or Die – Revised and Updated Edition, (Wiley, 2016).